If I had to pick one artist that has had a big year this year, in terms of their career, it’d have to be Social Club Misfits. Comprised of best friends Fern and Marty, these two rappers have a big heart for Jesus, and were signed to Capitol Christian Music Group a couple of years ago. The Misadventures Of Fern And Marty released last year to moderate success, but it was only this year that Into The Night propelled them to greater heights and to stardom. 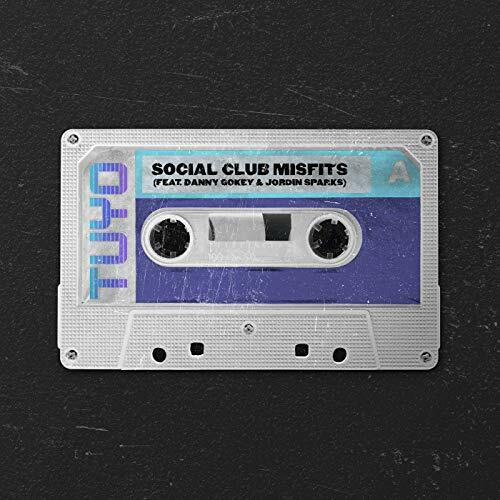 And while I myself haven’t been that much of an avid listener of any rap artist in general, Social Club Misfits have changed my outlook on this genre. It’s hard not to love their music after hearing Fern and Marty give powerful testimonies- and I’m sure when you guys watch these videos too, you’ll be blessed! While we as a site are sure to review Into The Night very soon (within the next few days! ), let me quickly touch upon one of the duo’s smash hit singles re-recorded for radio- “Tuyo”, featuring Danny Gokey and Jordin Sparks on guest vocals. Driven by vibrant guitars and a Spanish/Caribbean/Latin flavoured atmosphere, we are immediately introduced to Danny, Fern, Marty and Jordin all declaring that all of us belong to Jesus, that we’re only His. As Fern and Marty are both Spanish, it’s natural for some of their influences to bleed through the music, and that’s exactly what has happened here as well, with a portion of “Tuyo” being sung in Spanish- just for added variety and uniqueness, as well as bringing depth. And even though I do not fully understand much of the track as I’m not fluent in Spanish at all, I am nonetheless impressed at this song that encourages us to sing out our praise to Jesus at all times; even when we’re in the night. A worthy track to be re-recorded again, Social Club Misfits have recorded a winner here, with every single vocalist giving it their all! “Tuyo” from Social Club Misfits is something special. It’s a track that I’m sure will be on the ears and lips of listeners for a while yet- and the addition of Danny Gokey and Jordin Sparks makes the melody all the more enjoyable to listen to. I’m not sure what the sound will be like from Social Club Misfits’ upcoming third album (which they have said countless times is coming soon! ), yet I am intrigued, and that is mostly because of “Tuyo”. So…what are you waiting for? This melody is a once in a lifetime experience, so I suggest you hop to it and be amazed!